BRITISH SUPERHERO COMES TO THE AID OF THAILAND’S “IMPOVERISHED UNWANTED ABANDONED AND FORGOTTEN CHILDREN”. BUT SHY PAUL HAYWARD DECLINES PHOTO-OP AS CHARITY CASH POURS FROM THE GOODNESS OF HIS OWN HEART. A rare photo of Hayward taken when he tried to buy Crawley Town Football Club in England. Boiler room fraudster Paul John Hayward, who is estimated to have earned more from the proceeds of crime than the notorious Adams Family in London is being lauded in Thailand as a philanthropist with a heart of gold. 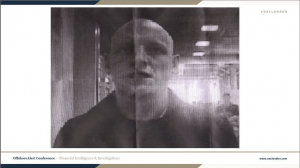 In a series of stories designed to boost the reputation of the Birmingham online fraudster who made his cash by stealing pensions from elderly people in the west operating scam call centres (boiler rooms) out of Bangkok, Kuala Lumpur and the Philippines, the travel site, has featured five feel-good stories about him in the last two months! They are all written by Theodore Koumelis, the ‘founder and Managing Editor’ of the online site, who does not use a picture of Hayward in any of the stories. 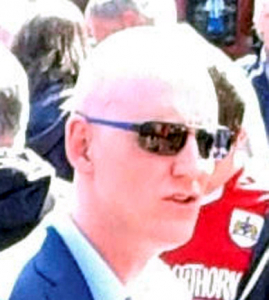 The following story appears under a photo of Hayward’s partner Micky Doherty, a former Hong Kong and Bangkok bar manager. “Paul Hayward of Bangkok, co-founder of the flourishing Panthera Group Thailand, is not your average suited and booted businessman. When not overseeing his businesses rapidly increasing portfolio of super clubs, bars, restaurants and hotels, Paul Hayward quietly dedicates much of his time and money to philanthropic causes. He quietly dedicates ‘much of his time’ to philanthropic causes? Well that’s true if you list Immigration Police, the Crime Suppression Division and various senior army officers. And as for changing the lives of the less fortunate and those in dire circumstances, well he has certainly been doing that too. These young girls here dance without underwear on the glass ceiling of the Baccara bars in Pattaya and Bangkok. If you are a woman and want to break through the employment glass ceiling in Hayward’s organisation that’s the way you have to do it. Hayward, from Birmingham, controls among many other businesses – the Nana Plaza in Bangkok – in partnership with members of the Indian-Thai FICO conglomerate. This is billed as the world’s largest adult playground. As for the changing the lives of the ‘unfortunate’ spare a minute for the unfortunate people he has robbed because they were stupid enough to believe what he told them. He is estimated to have taken some US$600 million since his arrival in Thailand. You may prefer this version also in the Travel Daily News which seems doubly anxious to do Haywards’s bidding. 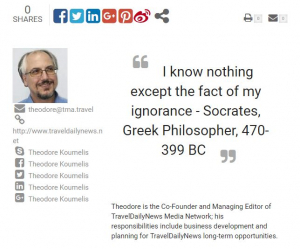 But, then again, the author Theodore Koumelis is a student of Socrates. 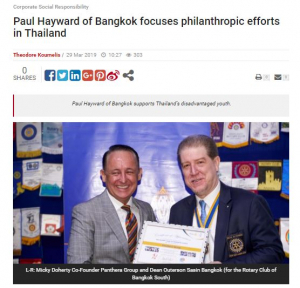 “Paul Hayward, of Bangkok, co-founder of Panthera Group Thailand, gifts a considerable amount of his personal wealth and time to those less fortunate. Since Panthera Group Thailand’s inception some 17 years ago, Paul Hayward has been committed to donating a percentage of his net income to the local community and those in need across Asia. Paul Hayward contributes to a variety of charities, though most of his philanthropic efforts seem to be focused on Thailand’s impoverished, unwanted, abandoned and neglected children. Recently, Paul Hayward again put his money where his mouth is, in support of the Rotary Club of Bangkok South’s ‘Annual Charity Golf Tournament’. An event which raised just under 600,000 Baht for charities in Thailand focused on disadvantaged youngsters. The funds raised during the Rotary Clubs event will aid a clean drinking water systems project and library kits for poverty stricken rural schools. Paul Hayward may be one of the busiest entrepreneurs in Bangkok. His business Panthera Group Thailand now has assets valued at 160 Million USD, but his donations are not part of his company’s CSR program. Paul Hayward is socially conscious and sees it as his duty to help others, a sentiment very much rooted in his own personal values and principles. Panthera Group’s inception by the way was not 17 years ago. It was about 18 months ago. Seventeen years ago Hayward arrived as a recruit to an American run boiler room. 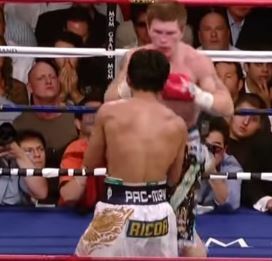 He ruthlessly rose to the top disposing of his rivals along the way – as well as whistle-blowers. Is that what Theodore means by his social conscience? 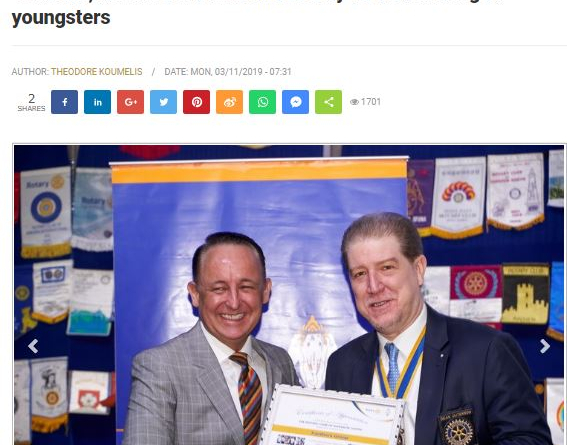 As for the 600,000 baht he gave to the Bangkok (South) Rotary Club, probably the less said about this branch of the Rotary organisation the better. But it’s a mere bagatelle against the cash he spent taking his top ‘loaders’ (those with the ability to squeeze the most cash out of pensioners to invest in phoney shares) on a trip to Las Vegas in 2011. So for those who have been watching the Thai elections and voting for the ‘good people’ I’m afraid you got it wrong again. Crooks in Thailand survive because they support these so-called ‘good people’. The war on corruption is a sham. But you know that don’t you. 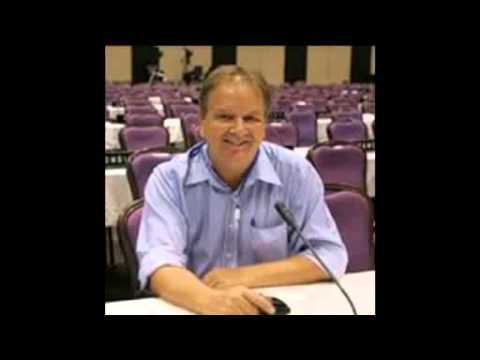 If you want to know the truth about Paul Hayward search his name on this site. ← Previous FIRST TIME BUYER? HAND OVER YOUR THAI PARADISE HOME OR GO TO JAIL!